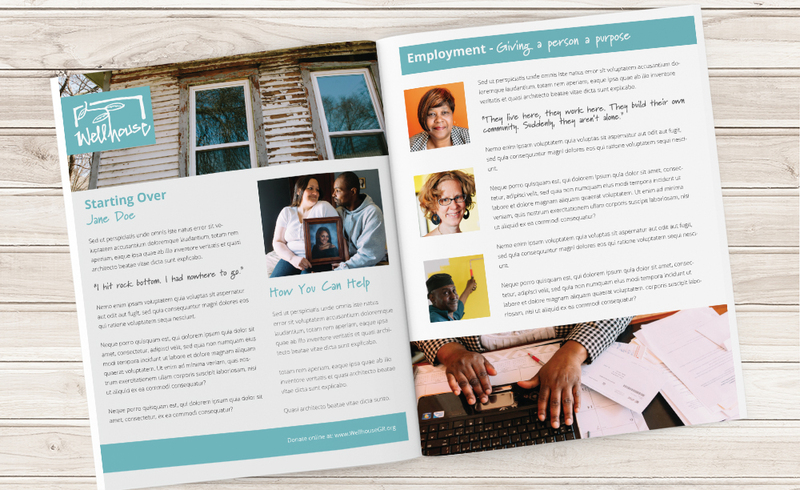 I volunteered to design a Major Donor Update / Mail Appeal for one of my favorite GRand Rapids organizations, Well House. The piece is designed to highlight the year’s successes and bring human faces to the issue of homelessness. The Well House brand is very earthy, with muted tones accented by bright pops of color, and the client wanted to include several images from a recent photoshoot in the piece.